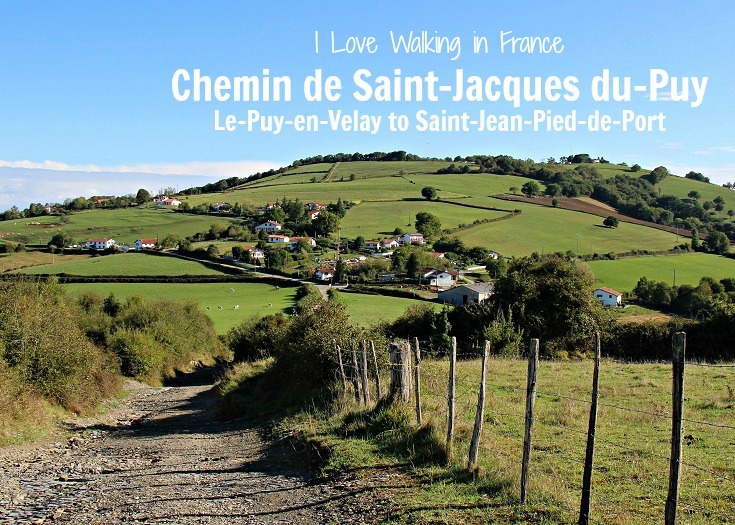 Thirty-nine days of walking through southern France along the Chemin de Saint-Jacques from Le-Puy-en-Velay to Saint-Jean-Pied-de-Port. Follow the footsteps of the first pilgrims through eleven of France’s ‘most beautiful villages’ and dozens of ancient chapels, abbeys and cloisters. Do it all or just one section – practical tips, map, highlights, suggested itinerary and 30+ photos to plan the perfect walk. 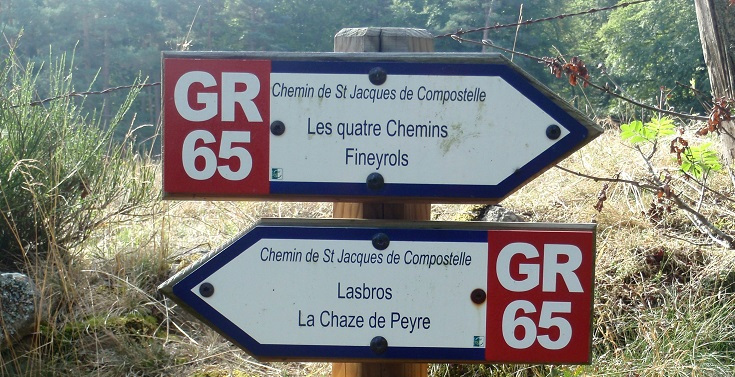 The GR 65 stretching from Le-Puy-en-Velay to Saint-Jean-Pied-de-Port in southern France is known by many names – the Way of Saint James, Chemin de Saint-Jacques, Saint-Jacques de Compostelle and, more simply, the Pilgrims’ Trail. It’s an ancient trail, followed by thousands of walkers each year since the tenth century. 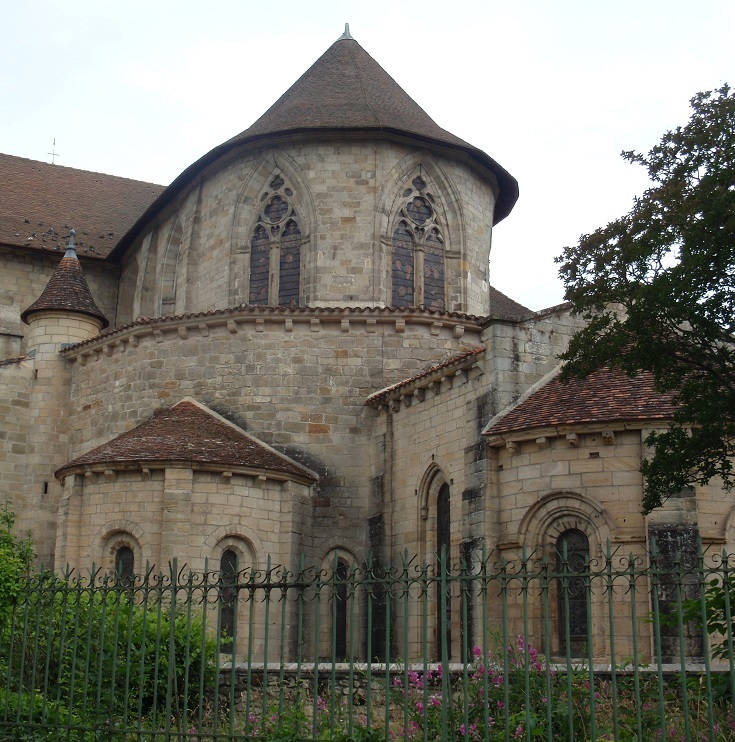 (You can read a little bit about the history of the Chemin de Saint-Jacques here.) 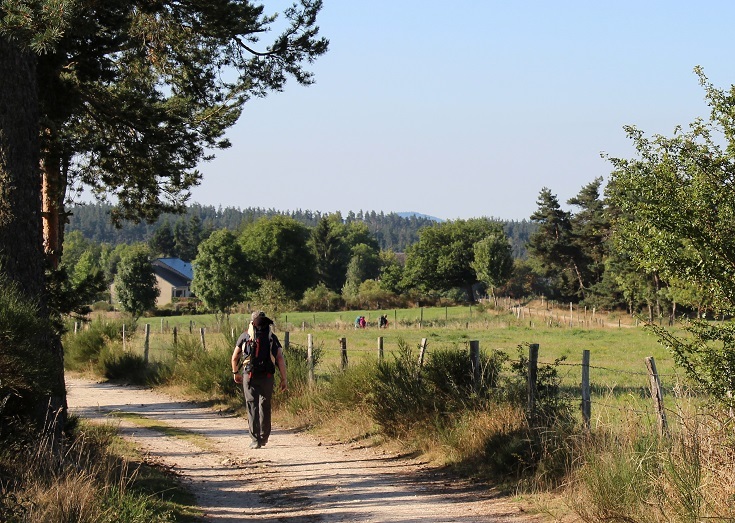 It holds a special place in my heart as it was my first experience of long-distance walking in France, although I confess that I started in the middle and returned in later years to walk the first and last sections. Hopefully, one day I’ll return and do it in the ‘correct’ order. 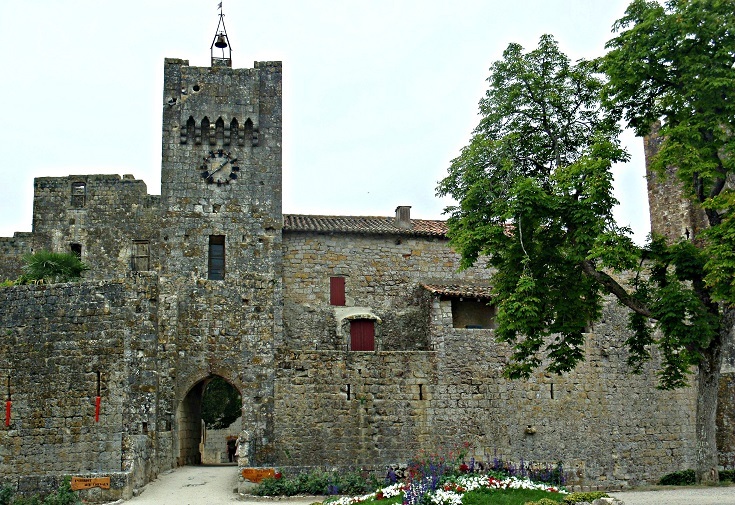 Every day of walking along the Chemin de Saint-Jacques du-Puy brings new delights – an ancient chapel, an abandoned château, a roadside memorial hung with rosary beads, a tiny medieval village, spectacular scenery (always spectacular scenery!) and good food at the end of the day! What can you expect walking along this historic trail? 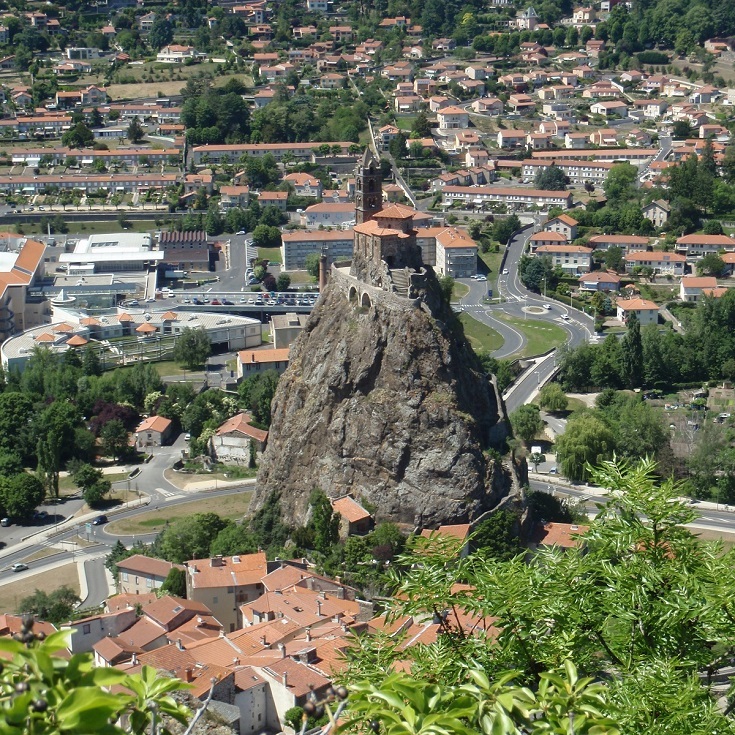 Le-Puy-en-Velay – take a day before you start walking to explore Le-Puy-en-Velay. 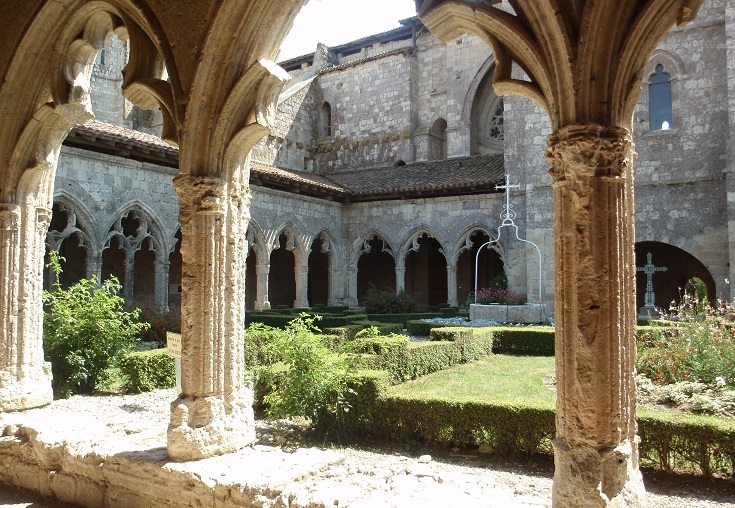 There are many charming corners to discover, from the twelfth century Cathédrale Notre-Dame du Puy with its adjoining cloister to a tiny chapel which has stood high on top of Rocher Saint-Michel d’Aiguilhe since 961 AD. 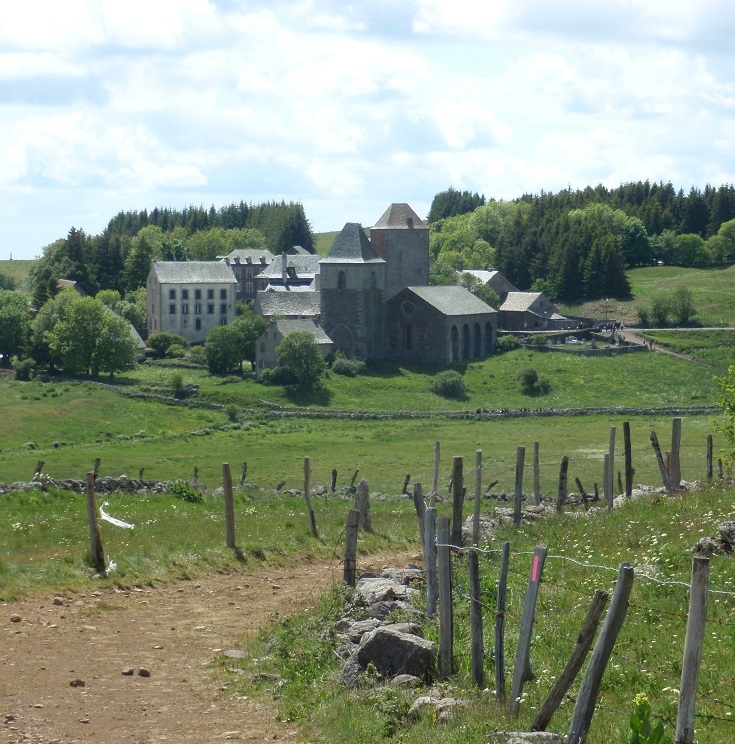 Aubrac – if there is one section of the Chemin de Saint-Jacques that I’d like to walk over and over, it’s the stretch leading to the tiny village of Aubrac. Although many of the medieval buildings have long disappeared, the view of the church tower surrounded by ancient stone houses never fails to set my heart aflutter! 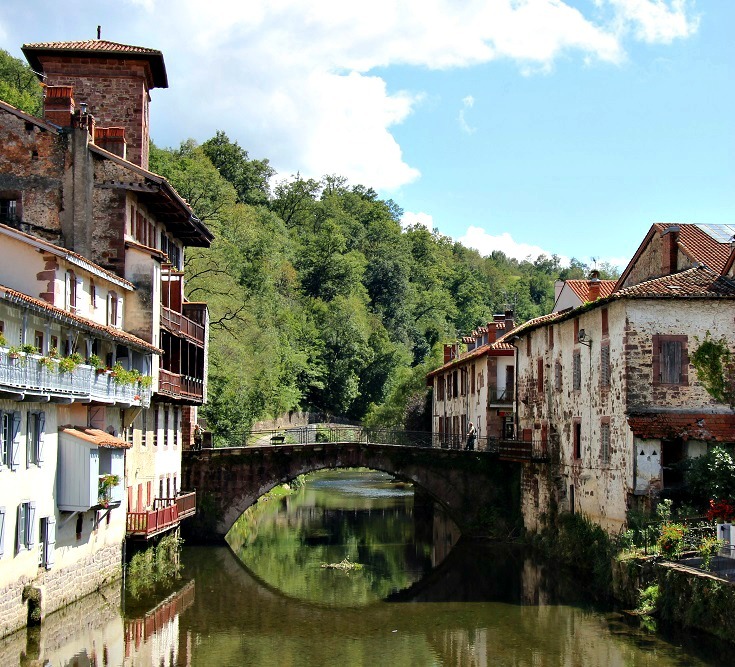 Espalion – spend an hour or two wandering the streets of this beautiful town with its fairy-tale turrets, medieval bridge and ancient tanneries lining the river. 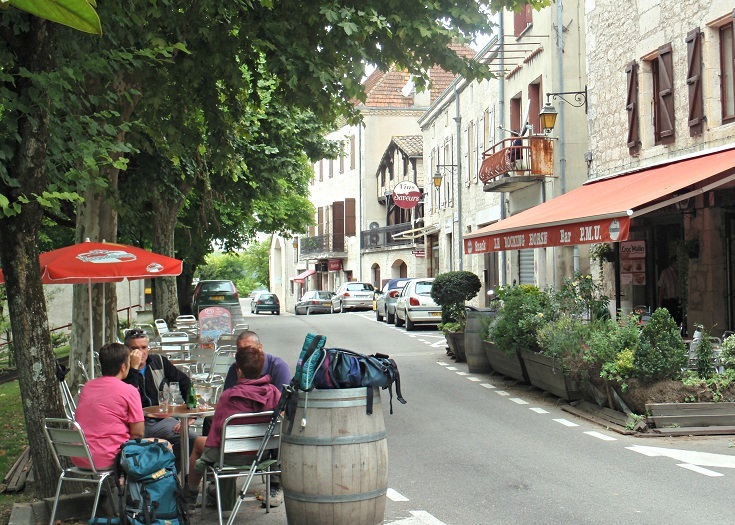 I’m sure the only reason Espalion is not listed among France’s ‘most beautiful villages’ is its population of over 4,000 people (a village must have a population of less than 2,000 people to qualify as one of France’s ‘most beautiful’). Église Saint-Pierre in Bessuéjouls – climb the twelfth-century bell tower to the chapel dedicated to Saint-Michel. The views are lovely but the history oozing from the stone walls is almost palpable. 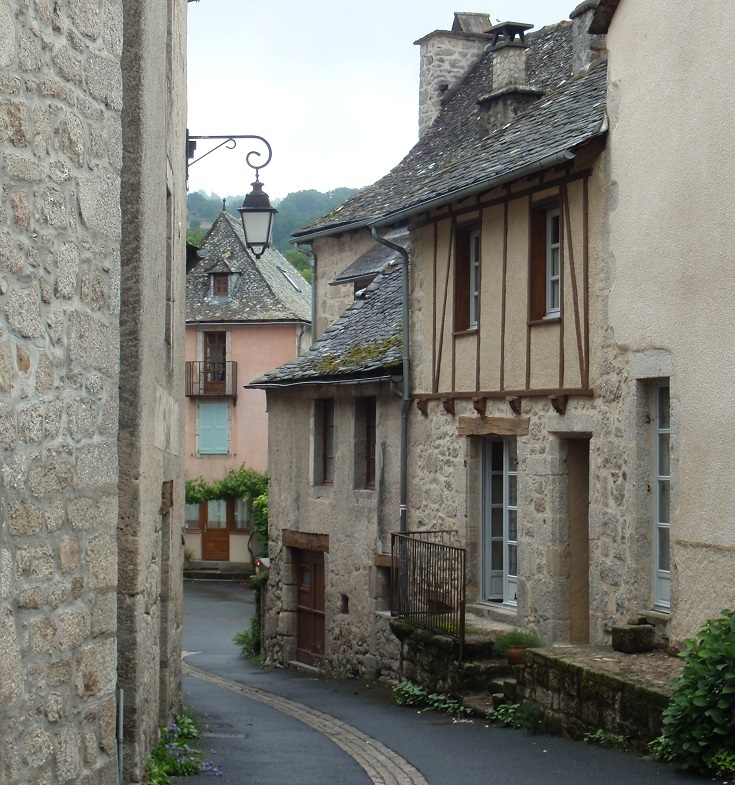 Espeyrac – I love this tiny village with its narrow, crooked laneways. There’s almost nothing here other than the church, the hotel and a few dozen houses so be sure to take a half hour and explore them all. 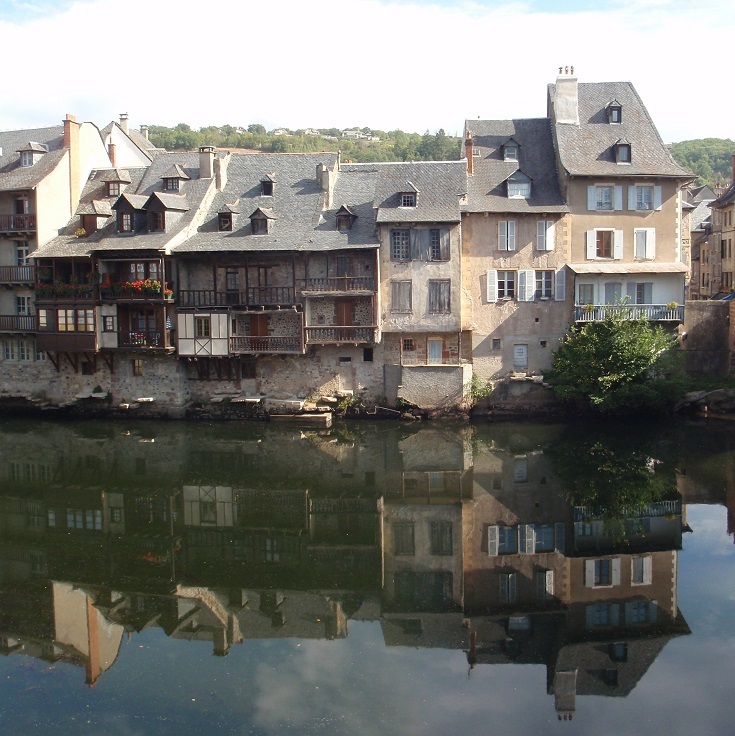 Figeac – if you are ready for a rest day or two, Figeac is the ideal place to stop awhile and explore the surrounding area. Rent a car (or take a taxi) to visit Rocamadour and the underground lakes and caves at Gouffre de Padirac. 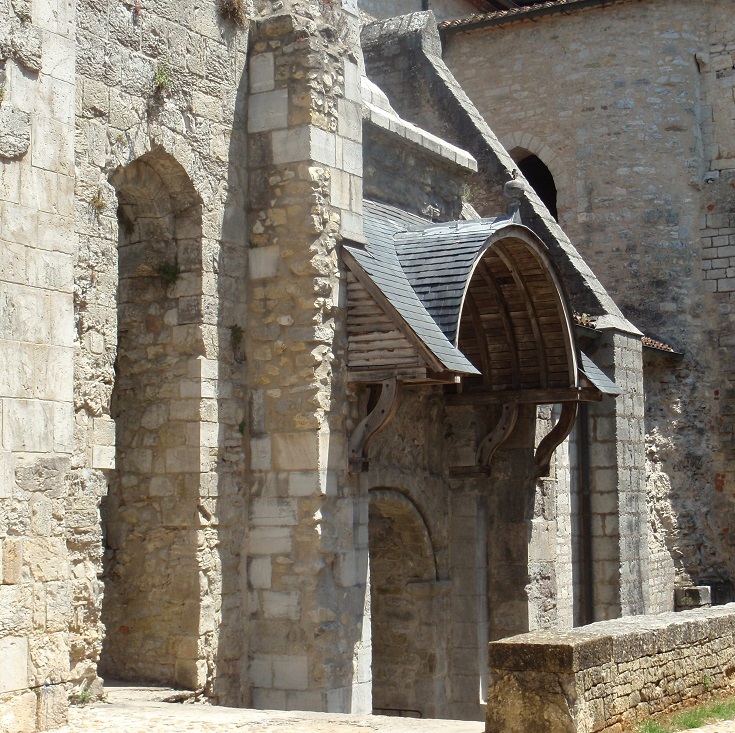 Marcilhac-sur-Célé – visit the ruins of the Benedictine Abbaye Saint-Pierre, parts of which date from the eleventh century. Pech Merle – this set of underground caves stretching two kilometres (1.2 miles) in length, includes some of the most beautifully preserved pre-historic rock paintings and natural rock formations in all of France. Book in advance as entrance is limited to 700 visitors each day. Cahors – it’s time to take another rest day and head out to the nearby wineries! Before leaving Cahors, call in to the Musée de la Résistance (check at the Tourist Office as the museum is undergoing renovations in 2019). We were lucky enough to be guided around the museum by a lady who lived here as a young girl during WWII. She brought the stories of the people who risked, and sometimes lost, their lives aiding the Allies to life in a way that was both harrowing and inspiring! Moissac – I’m a sucker for a nice cloister and will spend far too much time wandering their dim corridors and soaking up the peace and tranquillity. 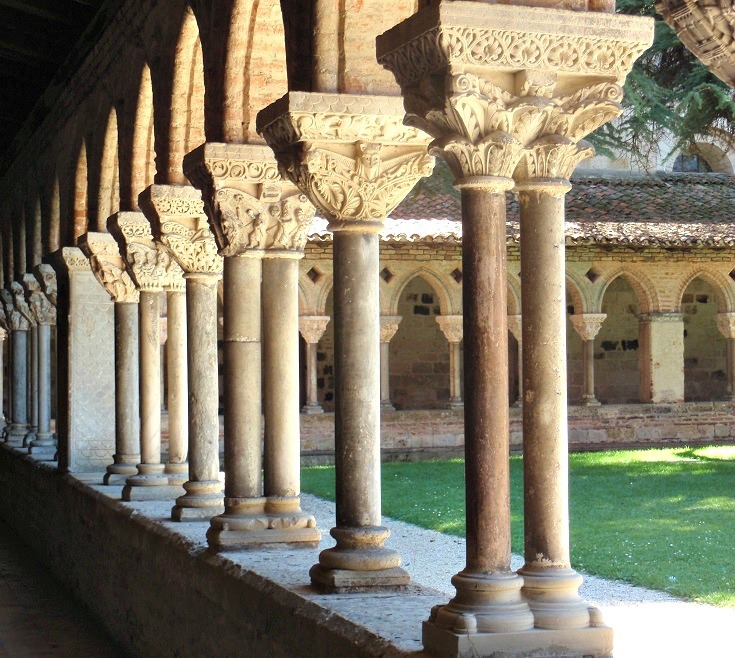 The twelfth-century cloister adjoining the cathedral in Moissac is particularly lovely and the 76 capitals mounted on alternating single and double columns are believed to be the oldest in the world. 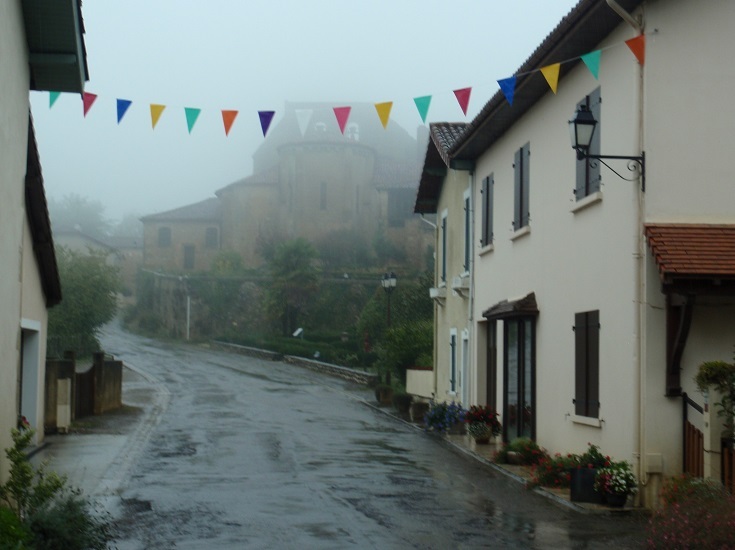 Aire-sur-l’Adour – as you climb the hill leaving Aire-sur-l’Adour, stop by the church dedicated to Sainte-Quitterie. Inside is the tomb of a fifth-century princess, who was decapitated by her fiancée when she refused to denounce her Christian faith and marry him. In the eleventh century, her head was brought to this place on the hill, where monks built the basilica in her honour. 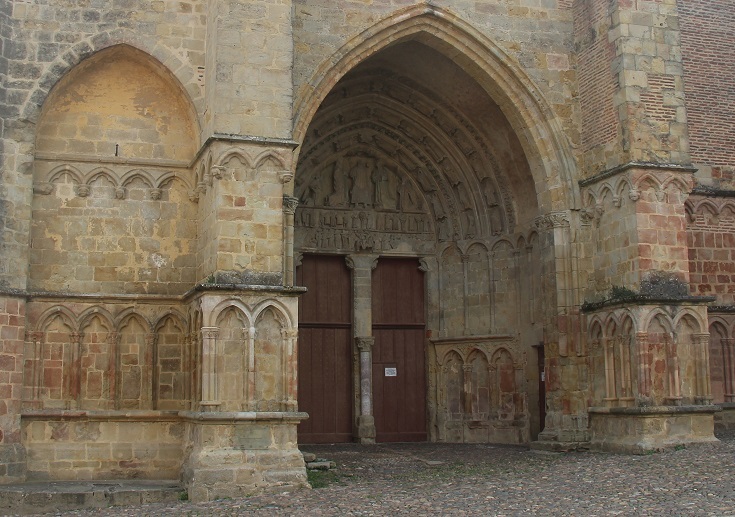 Abbaye de Sauvelade – the more you travel, the greater the chance you’ll arrive somewhere to find the attraction you’ve been looking forward to visiting is barricaded over or covered in scaffolding. For me, that occasion was the twelfth-century abbey in Sauvelade. No doubt, it has now been beautifully restored and you’ll enjoy it much more than I (please send me a photo!). Église Saint-Nicolas in Harambeltz – for me, this church in the tiny hamlet of Harambeltz was perhaps the highlight of the Chemin de Saint-Jacques. Nestled among the farmhouses and cowsheds, its simple stone walls hide a meticulously restored baroque interior. Be sure to visit on a Tuesday or Thursday afternoon when the doors are open to visitors. 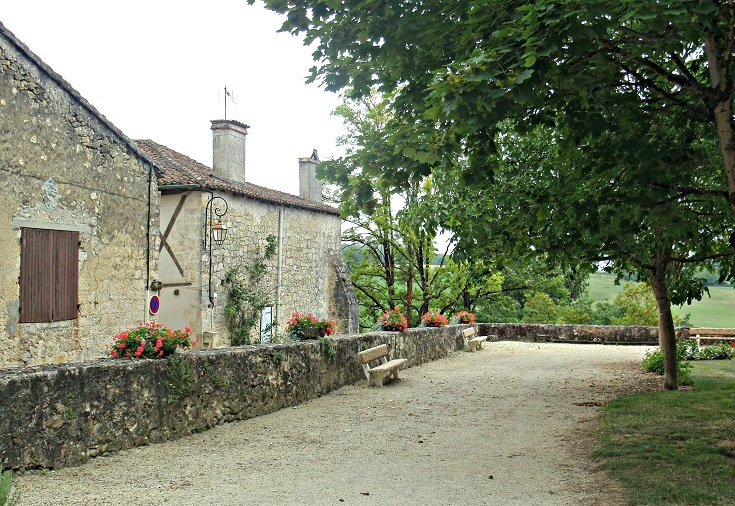 Saint-Côme-d’Olt – a village dotted with interesting historical monuments, mostly located a block or two from the GR 65 path. Ask for a map at the Tourist Office so you don’t miss any! Estaing – sitting on a bend of the River Lot and dominated by an imposing eleventh-century château, the village of Estaing begs to be explored. Take the afternoon off and wander the maze of narrow streets. 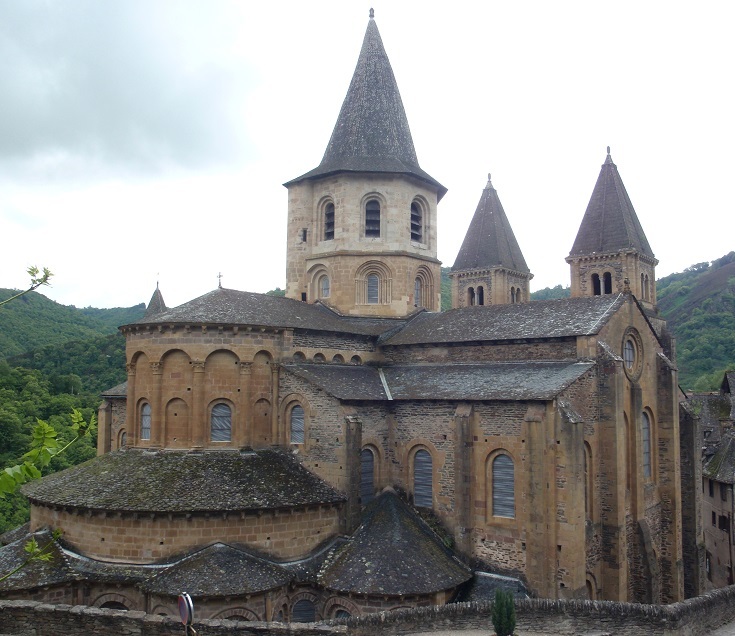 Conques – a charmingly ramshackle collection of stone and timber houses clustered around the magnificent abbey church. 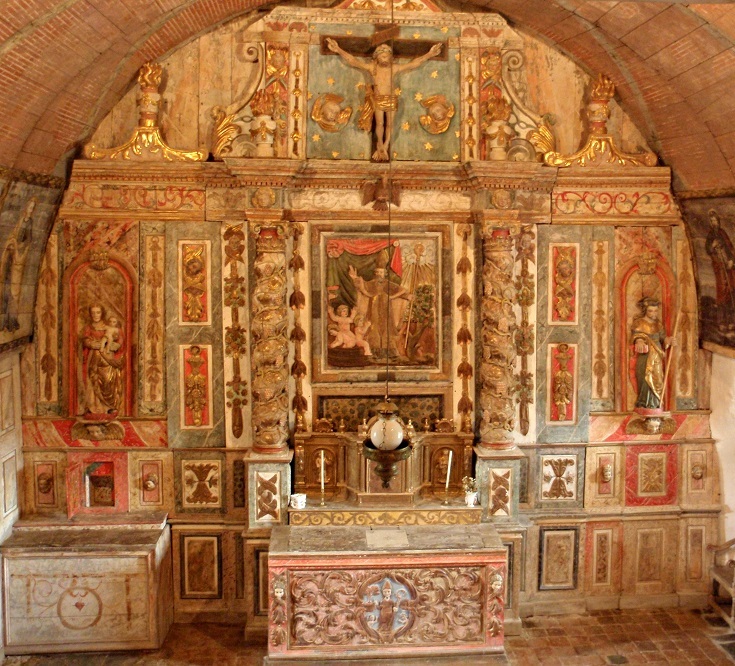 Inside lay the relics of Sainte-Foy, a thirteen-year-old girl who was martyred in 303 AD in nearby Agen for her refusal to denounce her Christian faith. 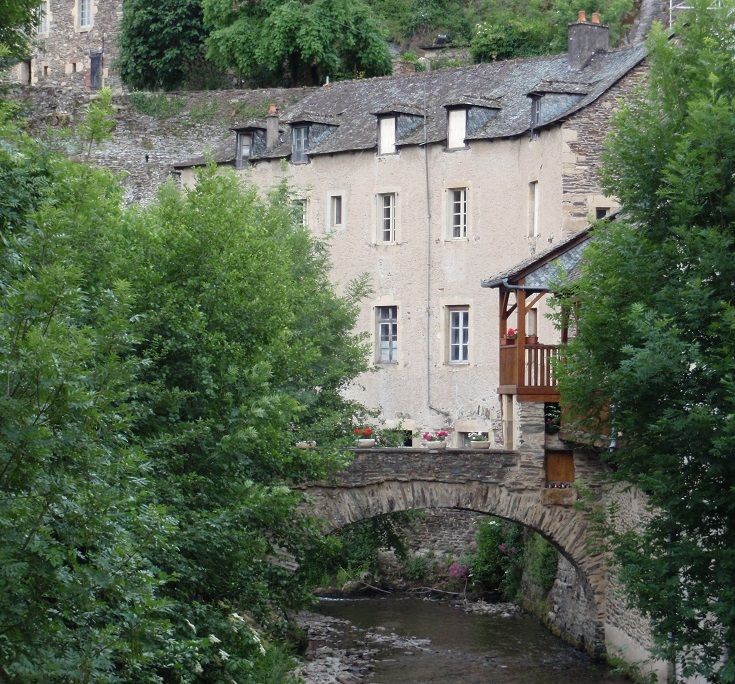 Saint-Cirq-Lapopie – perched on a cliff high above the River Lot, the endless variety of galleries, ateliers and gift stores in Saint-Cirq-Lapopie provide the perfect excuse to take a rest day. While you relax, work your way through the wide choice of cafés nestled among the stone walls and flowering vines. 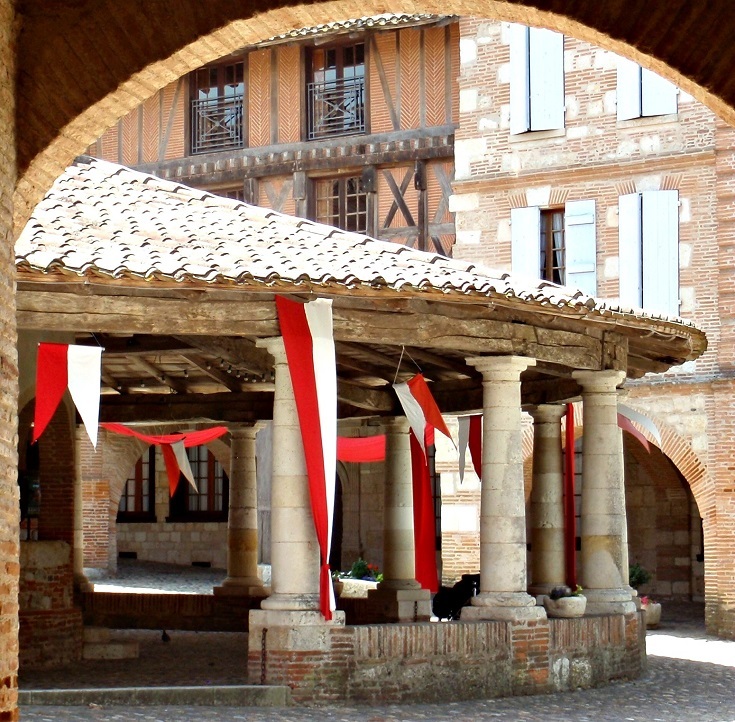 Auvillar – admire the beautiful stone and timbered buildings clustered around the central covered halle, then head over to the remains of the château where you’ll enjoy stunning views of the GR 65 path as it passes through Espalais. Lauzerte – one of the earliest of France’s bastide (fortified) towns, Lauzerte is a magnificent collection of protective stone walls and gates and ancient timbered houses. 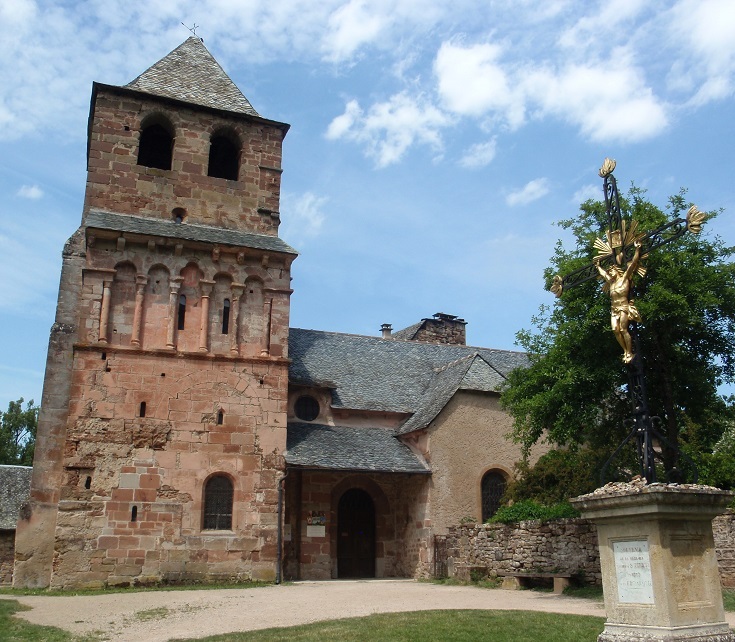 La Romieu – allow an hour or two to visit the UNESCO-listed, fourteenth-century church and cloister dedicated to Saint-Pierre. Although a fire destroyed the wooden upper floors of the cloister in 1569 during the Wars of Religion, the delicate stonework of the ground floor arches remains, and frames the lovely garden beds in the centre of the cloister. From inside the church, it is possible to climb the spiral stone staircase in one of the adjoining towers and enjoy the glorious views over the countryside. Larressingle – a fortified village located one kilometre (0.6 mi) from the GR 65 but well worth the detour. Arrive in time to linger over lunch in the shadow of the stone towers, then head into any of the gift shops for a glimpse inside the walls. Montréal – founded in 1255, Montréal was the first of the bastide villages built in the Gers region of France. 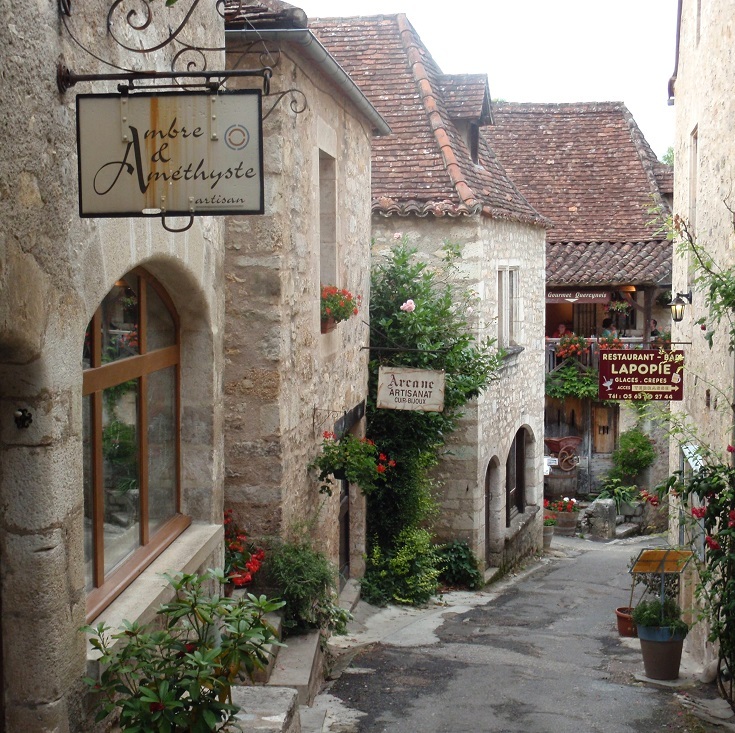 Ask for a map at the Tourist Office and wander among the arcades, quaint alleys and covered walkways. 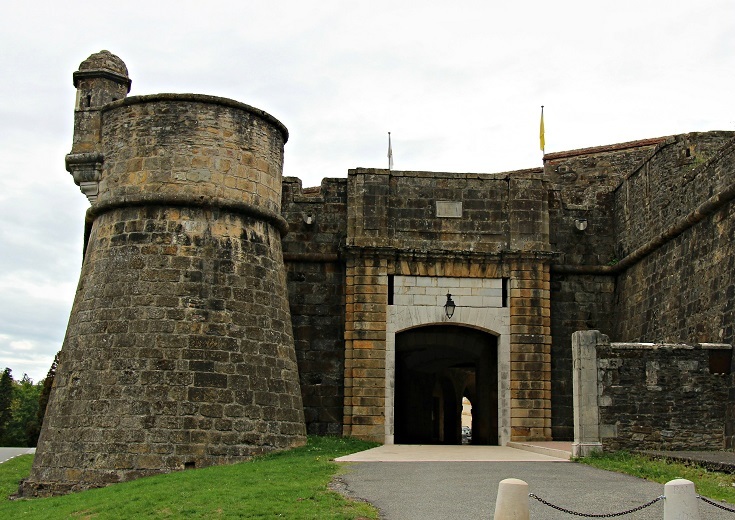 Navarrenx – surrounded by ramparts and defensive fortifications, the town occupies a commanding position overlooking the river. Spend an hour or two walking the stone walls patrolled by guards centuries ago. 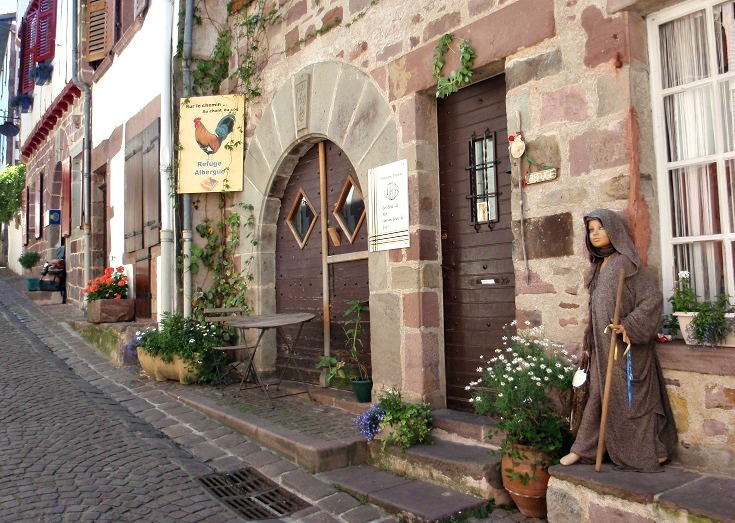 Saint-Jean-Pied-de-Port – the walk along the Chemin de Saint-Jacques draws to an end in the picture-perfect village of Saint-Jean-Pied-de-Port. Entering the village through Porte Saint-Jacques, the GR 65 continues along Rue de la Citadelle – an impossibly pretty lane lined with chambres d’hôtes, souvenir shops and stores selling anything a pilgrim headed to Santiago could possibly want. It’s time to relax, rest your tired feet and celebrate a successful journey! I’m very much an ‘enjoy breakfast, walk a few hours, have a nice lunch, walk another few hours and linger over dinner’ kind of girl. For me, long-distance walking is about slowing down, admiring the scenery and relishing the clean fresh air. 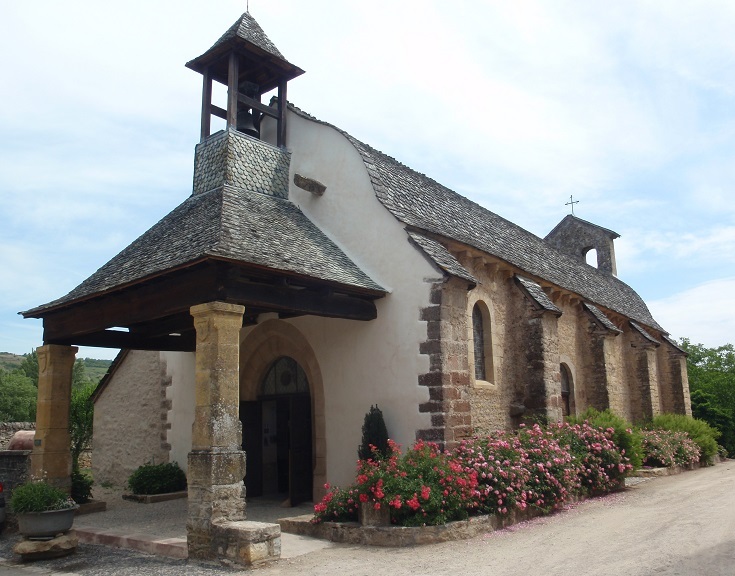 I find it hard to walk past an ancient chapel without taking at least a cursory look around, and relaxing over a coffee or an Orangina in one of France’s ‘most beautiful villages’ is my idea of heaven. I love participating in a journey that thousands of walkers have taken before me and imagining how life on the trail would have been centuries ago. If you like to rise at the crack of dawn, walk for fifteen or twenty kilometres before lunch, do the same distance after lunch, stagger into town exhausted, then get up the next day and do it all over again, you’ll complete this walk in much less time than the 39 days my suggested itinerary requires. And if you do prefer to go just a little faster, click through on each of my suggested stages for a more comprehensive list of villages offering accommodation. 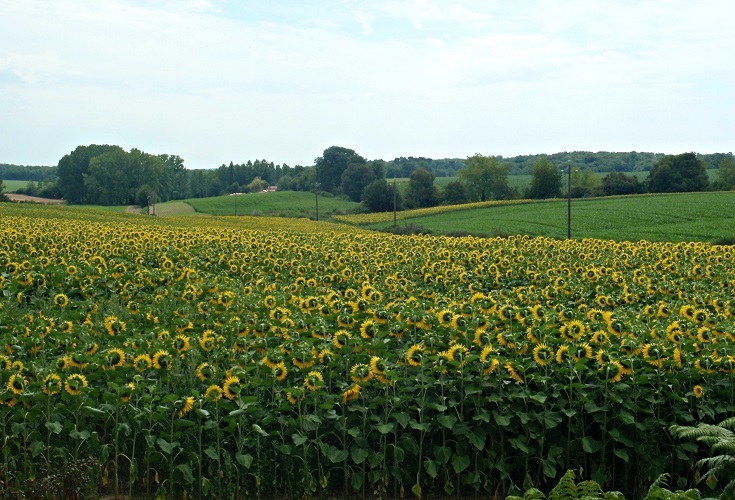 You’ll also find suggestions for rest days, sights worth stopping for and an alternate route from Figeac to Cahors. 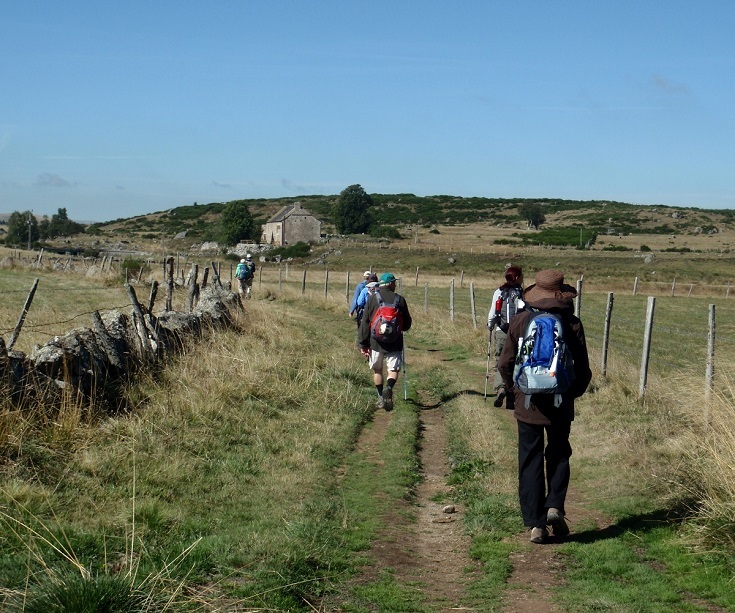 The first 200 kilometres (125 miles) from Le-Puy-en-Velay to Conques (90 kilometres/55 miles past Aumont-Aubrac) is the perfect walk for less-experienced long-distance walkers to cut their teeth on. Many first-time walkers are concerned about becoming lost or injured far from town, but there will be lots of other walkers about to keep you company and who will come to your aid if you find yourself stranded along the way. This section is also well supported with a daily bus service should you need a break from walking. 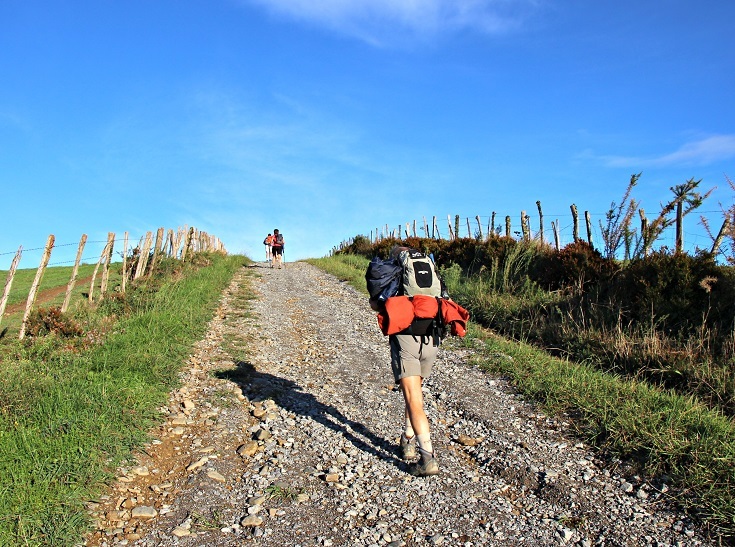 If the thought of planning a long-distance walk feels too complicated, you’ll find a step by step process to follow here. I’ve used my walk along the GR 70 Chemin de Stevenson as a case study but the steps can be applied to any long-distance walk. Most walkers fall squarely into one of two camps when it comes to pre-booking accommodation – those who ALWAYS do and those who can’t imagine why deciding in advance where to stop each night would be a good idea. I prefer to book ahead but even I find the idea of locking in a 39-day schedule daunting. If you are having your luggage transferred along the chemin, you’ll need to know where you’d like your bags dropped. All transfer companies advise booking at least one day in advance which allows your schedule to remain fairly loose, but they also point out that transfer vans fill up fast during the peak summer months and on rainy days. They advise against leaving your booking until the last minute. 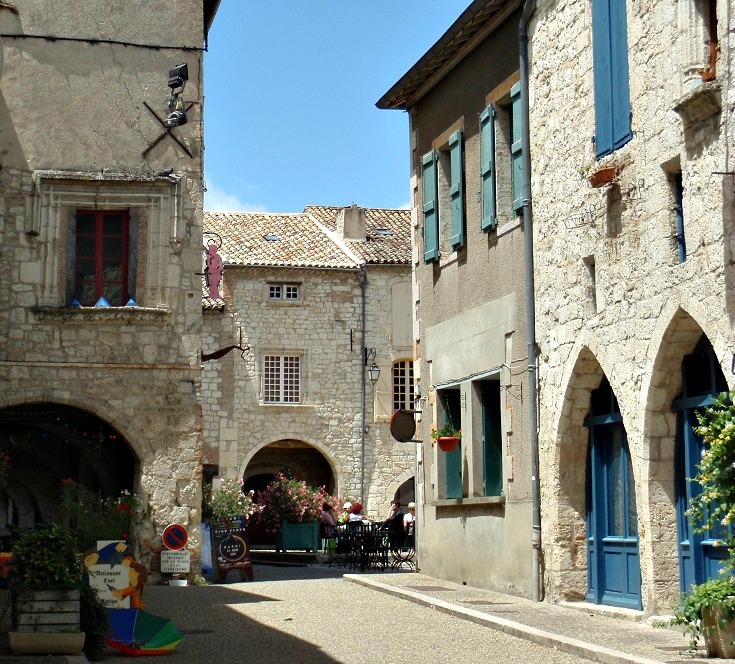 Booking in advance assumes you’ll know how often to take a day off walking – to rest a dodgy knee, allow blisters to recover or simply spend some additional time exploring nearby sights, such as the wineries around Cahors or the village of Rocamadour near Figeac. I confess I usually overestimate my need to rest and sometimes find myself locked into a break when I’d rather be walking. 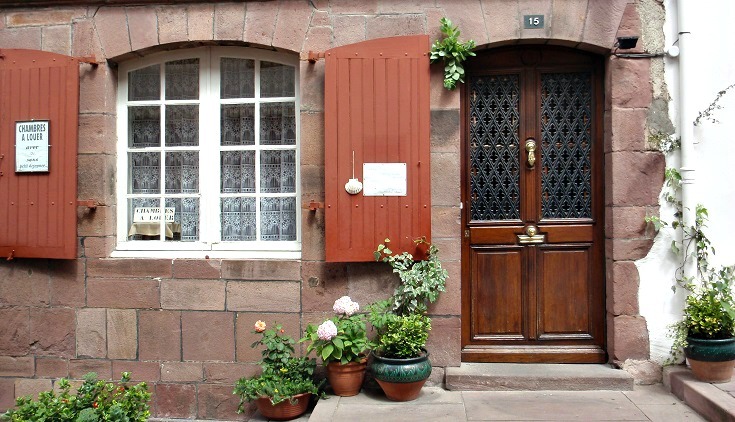 If you do choose to book accommodation in advance, you’ll find useful tips for booking in French here. Each company has slightly different price rates, weight restrictions and operating seasons. If you are walking very early or very late in the season (before mid-April or after mid-October), check carefully that the service is available when you need it. Of the companies listed below, I use La Malle Postale. Over the years, they have proved reliable, responsive to questions and very helpful when I needed to veer slightly away from their standard set of drop off points. Their website is easy to use (despite being in French!) and payment is via a secure system. 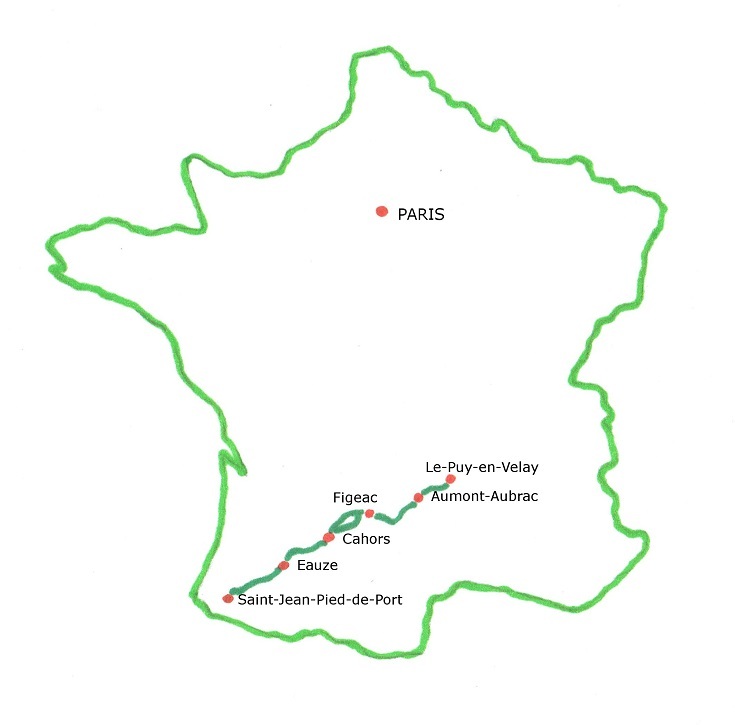 You’ll find other local services listed in the I Love Walking in France guidebooks. If you find yourself stranded, consider asking your host to book you a taxi. I have done this on occasion in Burgundy where La Malle Postale does not operate. The cost was between 40 and 50 euros each day – prohibitive if travelling alone but manageable if shared among several people. Walking season in France extends from April through until October. Outside of these months, many areas will be under snow and walking under these conditions carries a set of challenges well beyond my area of expertise. Many hotels will be closed during this period also, making accommodation harder to find. The peak period for walkers is June, July and August. Although daytime temperatures can be quite high in summer, the sunflowers will be blooming as you venture further south (and this is sufficient reason for me to endure a little heat!). 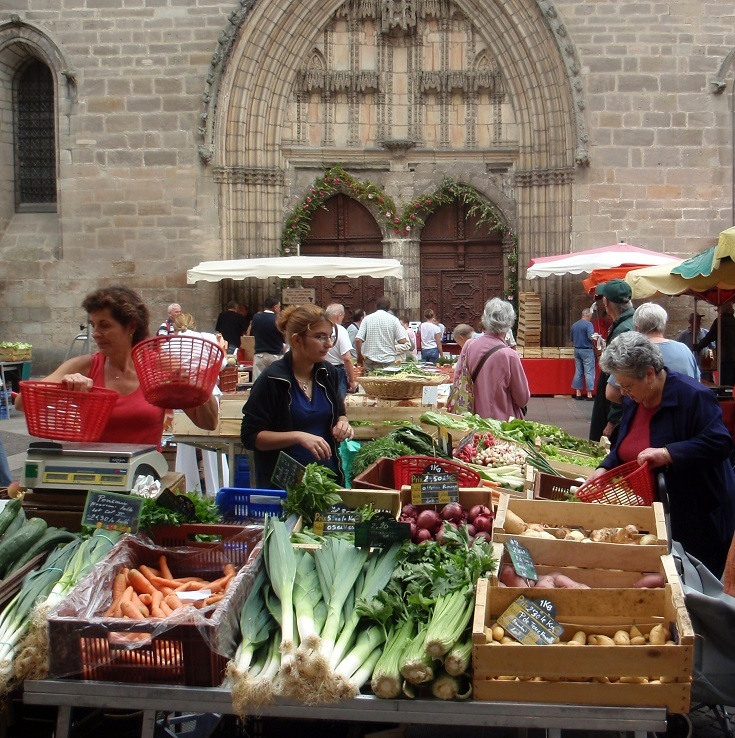 Many villages host an evening market over the summer months and museums and châteaux remain open throughout the day, rarely closing for lunch, which will give you more flexibility if there is an attraction you’d like to visit. August is traditionally the month when the French take their vacation – including hotel proprietors! This is less common, but not unheard of, in smaller villages and I have not considered walking during this month. In May and September, temperatures are much milder, the path is usually less crowded and walking is the perfect way to spend the day. But, from my experience, you are more likely to encounter rainy days in May and I now plan all walks for June or September. 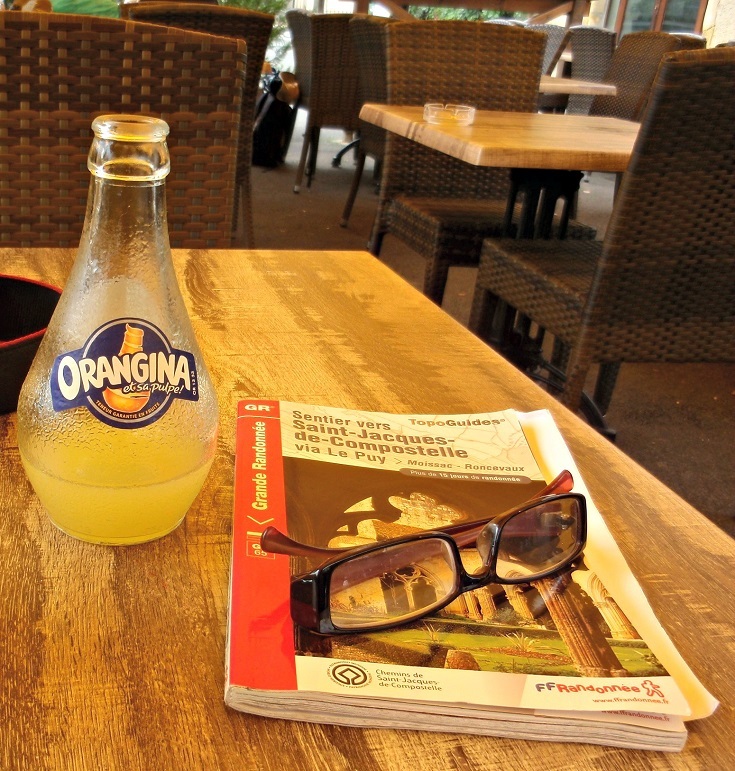 …other than an I Love Walking in France guide book, of course! By far the most common guidebooks carried by walkers I’ve met are the TopoGuide and the Miam Miam Dodo guides. Both are written in French but the layout and map presentations are quite different. As I walked the Chemin de Stevenson last year, I purchased and carried both the TopoGuide and the Miam Miam Dodo guide. I’ve posted a comparison of the two here which includes photos, likes and dislikes and a purchasing guide to help you navigate the online stores (in French). My personal favourite (for any long-distance walk in France) is the TopoGuide as I find the topographic maps enormously helpful for getting a feel for the terrain. TopoGuides are published by the Fédération Française de la Randonnée Pédestre (FFRP), the non-profit organisation which oversees the maintenance and sign-posting of all long-distance walking paths in France – with the aid of an army of dedicated volunteers. Without their tireless efforts, long-distance walking would not be possible and I am happy to support them by purchasing their guidebooks. Is it necessary to carry a crédencial (pilgrim’s passport) on the Chemin de Saint-Jacques du-Puy? No! Along the Spanish Camino, a crédencial IS essential if you wish to stay in the pilgrims’ refugios and as you draw closer to Santiago, competition for a cheap bed can be pretty stiff. You can have your crédencial stamped at each of your nightly stops which serves as a lifelong reminder of your journey. If you walk the entire 750 kilometres (470 miles) from Le-Puy-en-Velay, your arrival in Saint-Jean-Pied-de-Port will, no doubt, bring many mixed feelings. There will be relief and gratitude that you’ve arrived safely, that you can sleep in the next morning (and any blisters will begin to heal!). But there will also be sadness that the friends you’ve made over the past weeks will be going their own way – and that tomorrow you’ll return to the ‘real’ world of bus timetables and everyday activities. 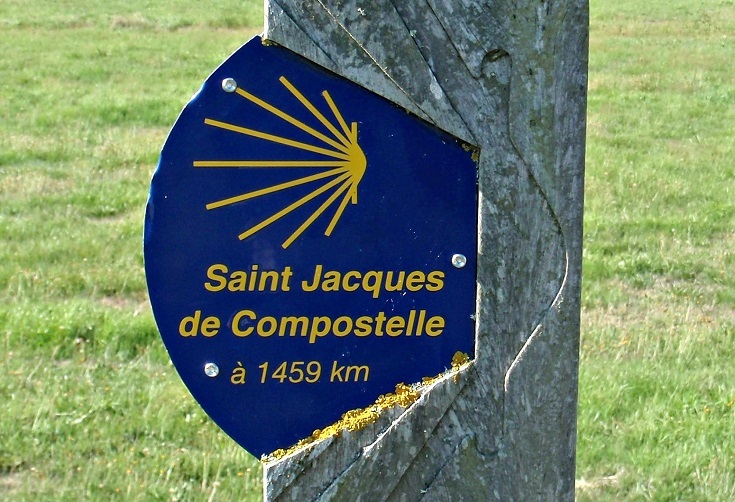 Whether you choose to walk the Chemin de Saint-Jacques in sections over many years or in one herculean effort, I can promise you a memorable journey – filled with spectacular scenery, new friends and good food!